Hello, and welcome! 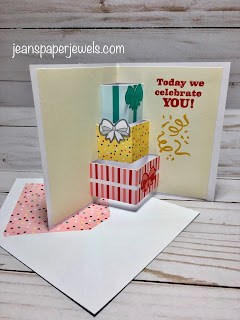 Our March 2019 Paper Pumpkin Kit was all about birthdays. 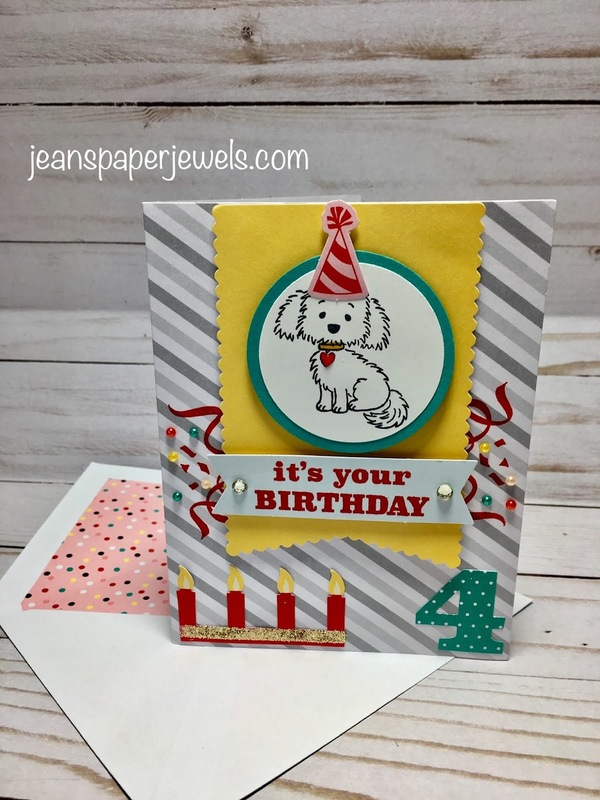 The inside of the cards were pop up images like the presents above. Very Cute! Here's a picture of the cards if you made them as instructed. 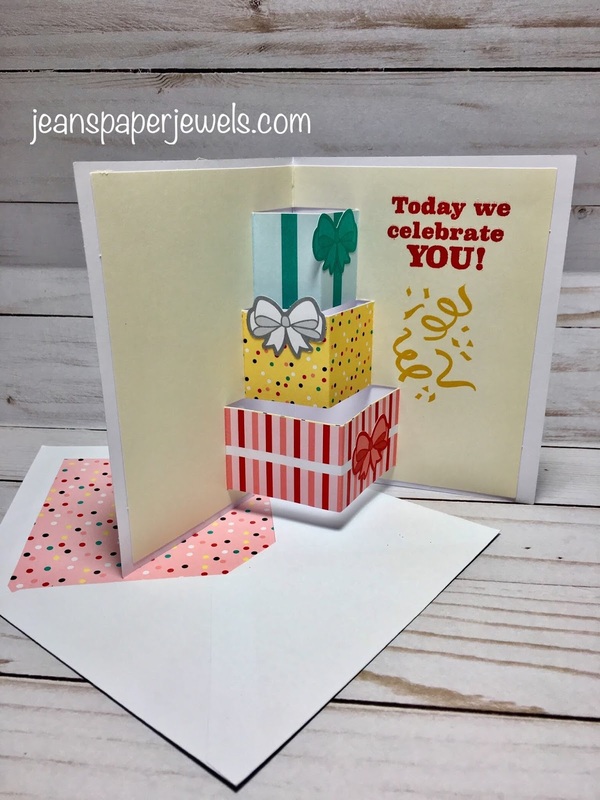 I used one of the Stampin' Up! 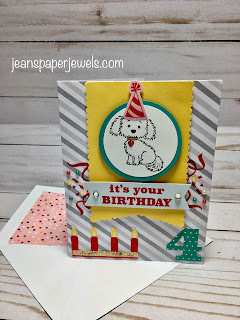 Bella & Friends images to make my card. The hat die cuts that came with the kit fit her perfectly! I added her to a couple of Layering Circle mats. 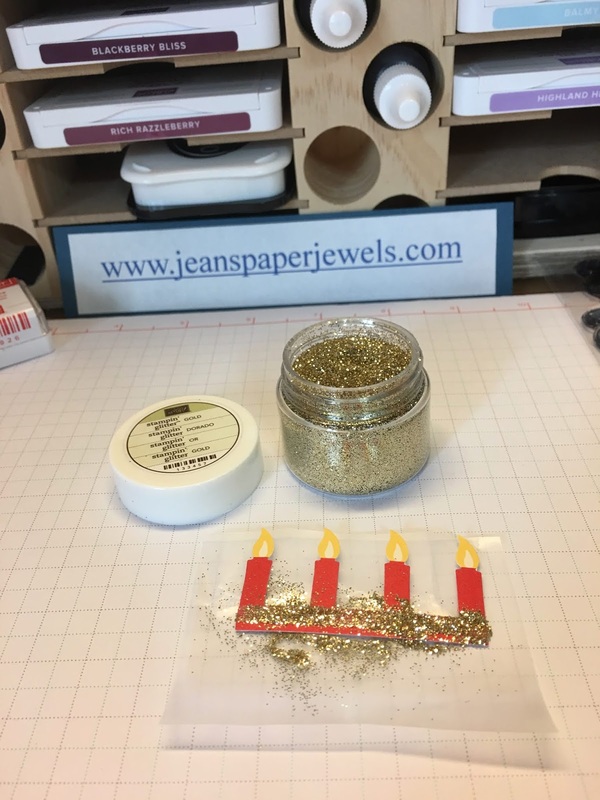 The candles die cut came with the kit as well. It had an adhesive strip on the front so I just covered it with glitter. Subscribe by April 10th to get this special kit. Click HERE to subscribe. Thanks for joining me today!